Many motorists will agree that you haven’t had the complete experience of owning a car if you didn’t have a dead car battery yet. The most common and easiest solution to this dilemma is utilizing jumper cables to serve as battery booster. However, the process entails more than just connecting a live battery to a dead one. 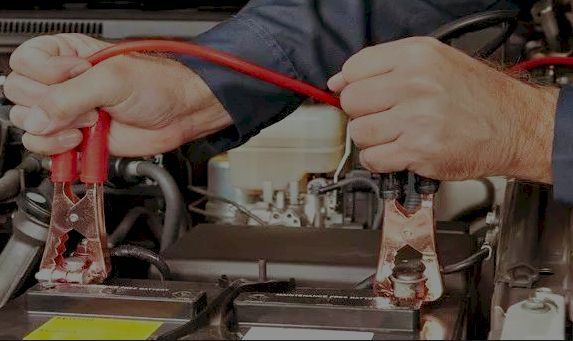 In order to understand how to use jumper cables, it is important to learn some basic principles about car batteries. Car batteries don’t produce voltage by themselves. They just store electricity. The voltage must be returned to them in order to function properly. Returning the voltage is done by the alternator of the car. Once the alternator malfunctions, the temperature gets too cold, or not enough water is available to store electricity, the car batteries start to fail. How do you know when to use a jumper cable? A sulfur smell normally indicates a leaking battery. In this case, battery replacement is already needed. In other cases, the warning signs may come in combinations. According to some experts, a battery with low power can still function in warm weather. Expect to use a battery booster once the temperature drops. Jumper cables (jumper wires) are also called jump leads or booster cables. They function by moving electricity from a working battery to a dead one. They consist of a couple of insulated wires that have sufficient capacity. Alligator clips that are made from steel or copper are attached at the end.These are used to connect your disabled car to the auxiliary source. The alligator clips are sometimes covered with insulation to avoid inadvertent shorting. They are usually marked by a red positive sign and black negative sign to help distinguish the polarity. • You need to make sure that the battery problem isn’t serious before getting jumper cables. Check that the car has been completely shut down. • Get the right booster car. It should have a fully-charged battery that can temporarily charge your car’s dead battery. The booster car may come from a family member or friend who is willing to help. Ask them to park their car with its hood positioned as close as possible to your car’s hood. Make sure that the vehicles don’t touch each other. • Check that the two batteries are not affected by corrosion. Clean off the corrosion and attempt to start the car once again before proceeding to jump start it. This ensures that the battery is really dead and is not just suffering from a bad connection. Once you’ve done these two tasks, you are now ready to proceed in connecting the jumper cables. 1. Turn off all the gadgets inside the car including the interior lights, radio, and headlights. If it is safe, turn off the emergency flasher also. 2. Set the brakes. Change the car into park mode for an automatic transmission or neutral gear for a manual transmission. 3. Look for the negative and positive terminals of the battery. The cables that lead to the positive terminal are usually colored red. If you are hesitant, the battery normally has a positive (+) and negative (-) sign on it. 4. Separate the clamps of the jumper cable to prevent the two from touching together. This leads to a short circuit. 5. Attach a red clamp to the positive terminal of your car. Make sure that it is secured properly. Attach the other red clamp to the positive terminal of the booster car. Again, make sure that the clamp is secured properly to avoid slipping off due to vibration. 6. Connect the first black clamp to the negative terminal of the booster car. 7. The second black clamp must be connected to an unpainted metallic surface in the engine compartment of your car. Make sure that it is positioned as far as possible from your dead car battery. Connecting it to the negative terminal of your dead battery might produce sparks and hydrogen fumes. 8. Start up the booster car. Let it run idle for a few minutes before trying to start your own car. Run the RPM until it reaches approximately 3000 before you attempt to start your car. • Jump starting your car is more than just hooking up the cables to the batteries. You need to be careful to not let the jumper cables come into contact with any of the engine components. • The order of attaching and removing the jumper cables should be strictly followed from start to finish. Failing to do so will lead to short circuit and a hazardous electric arc that may put your life in danger. • The clamps should be tightly secured. They need to be fastened well before moving on to the next step. • You need to be patient and wait a while before jump-starting the car, especially if your battery was completely drained. The process can be a bit overwhelming, especially if it is your first time in handling this kind of battery repair. You can seek out the help of a professional in order to maximize the use of jumper cables as battery booster.